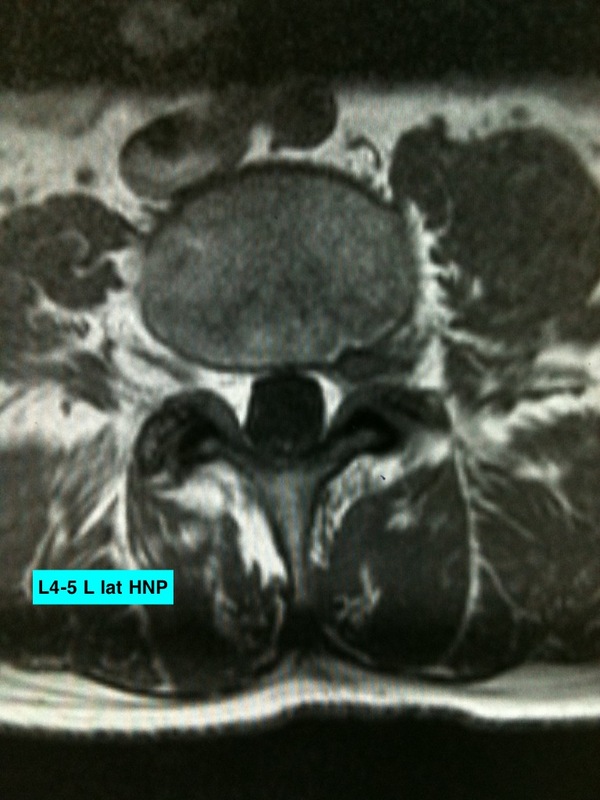 The most common pitfall in reading a lumbar MRI is focusing on the most obvious abnormality. It’s easy to do: your eye naturally goes to the vertebral slip, or the huge herniated disc. That’s natural, but in every case also be sure to do a systematic reading of the entire study. You’ll save yourself the pain and liability of missing a significant “incidental” finding. Look at the normal lordosis, and also look at the posterior marginal line for a slip of vertebrae out of place. What is the quality of the marrow signal? Increased or decreased signal may be associated with metastatic tumor or discitis/osteomyelitis, or the modic changes of severe disc degeneration at the vertebral end plates. Evaluate the position and caliber of the conus. A thickened conus may herald an intramedullary tumor such as ependymoma. The conus usually terminates about L1-2. 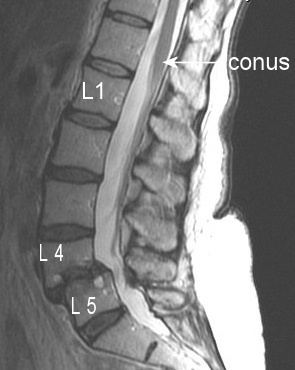 Is there stenosis of the central spinal canal, or clear cut compression of the cauda equina? The CSF signal is normally generous at all levels of the spine. 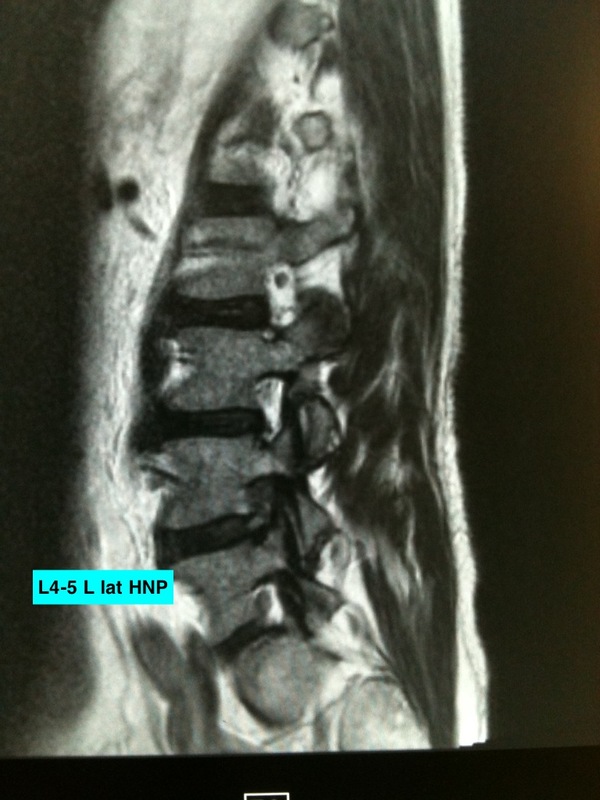 Loss of CSF signal is the hallmark of spinal stenosis. On axial images the canal itself may have a triangular, trefoil, appearance. A herniated disc is “protruded” if the bulge is wider than it is deep, or “extruded” if deeper than it is wide. Evaluate all the discs, not just the most obvious one. Look at the lateral slices on the T1 sagittal. Do you see the intervertebral (neural) foramen? It should be patent. You will see a white “fat pad” at each opening, with the dark nerve root coursing through. Loss of the white fat signal suggests impingement of the nerve in the foramen.